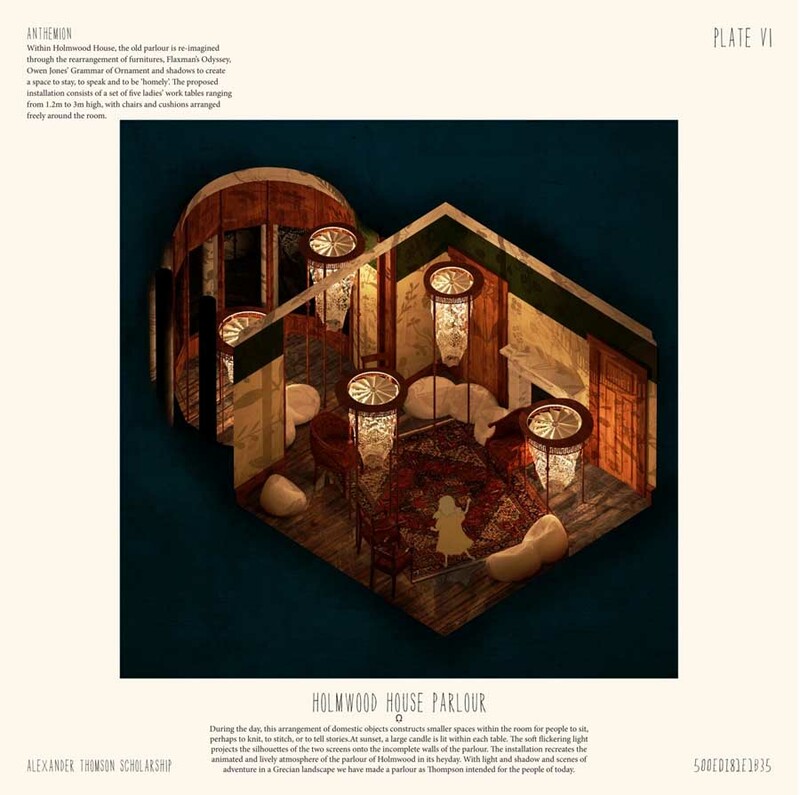 At an event held in the House for an Art Lover in Glasgow earlier in October 2012, local practice Dress for the Weather was awarded this year’s Alexander Thomson Scholarship for their proposals to breathe new life into the parlour at Holmwood House in Cathcart. Bryan Dickson and Jo Anthony of The National Trust for Scotland, with whom GIA collaborated on the competition, presented practice Director Matt McKenna with a cheque for £1200 at the culmination of an evening during which students from both schools of architecture received awards and commendations from the Institute. 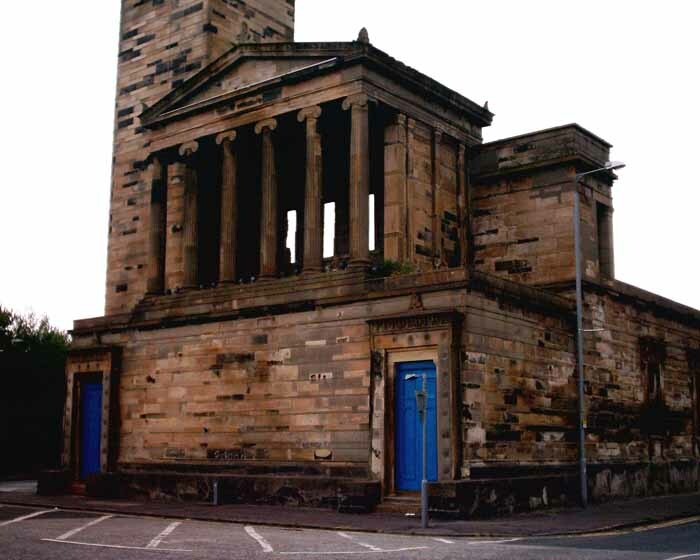 Announced in June 2012, the Alexander Thomson Scholarship Competition called for proposals for a contemporary installation for the incomplete parlour at Holmwood House: a building whose interior has been described as “one of the most important and experimental of nineteenth-century Scottish interiors”. There are no records of Thomson having designed any furniture for the house, and the presentation of the room to visiting members of the public has long been problematic for The National Trust for Scotland. Dress for the Weather celebrated the role played by the original client for the house (a paper mill owner), and proposed that the entire floor be covered in sheets of green, red and gold paper, stood on end, that reflected the undulations in the elaborate plaster ceiling above. 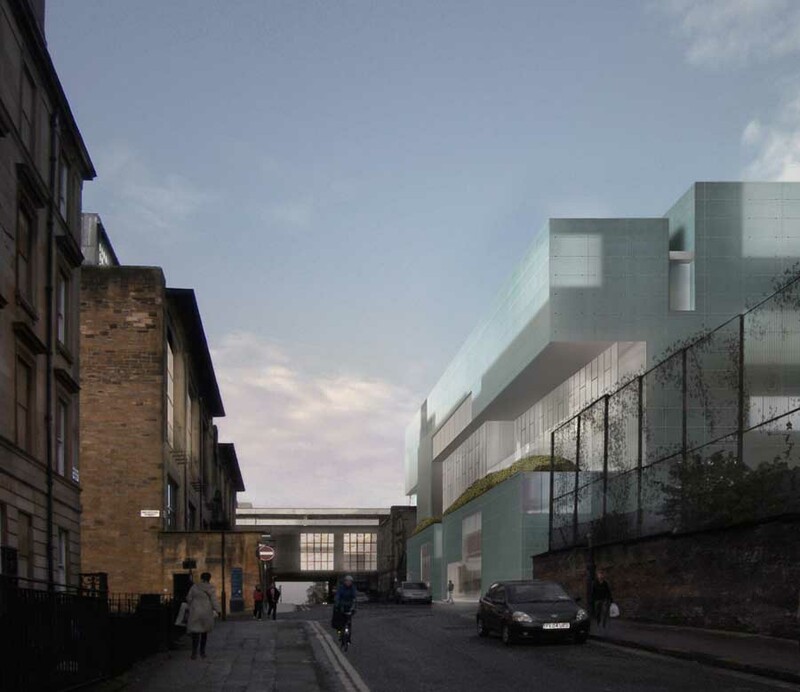 Judges, including representatives from GIA, NTS, the Mackintosh School of Architecture, and the Alexander Thomson Society, selected the winning entry from a shortlist of nine entries drawn from eighteen submissions. 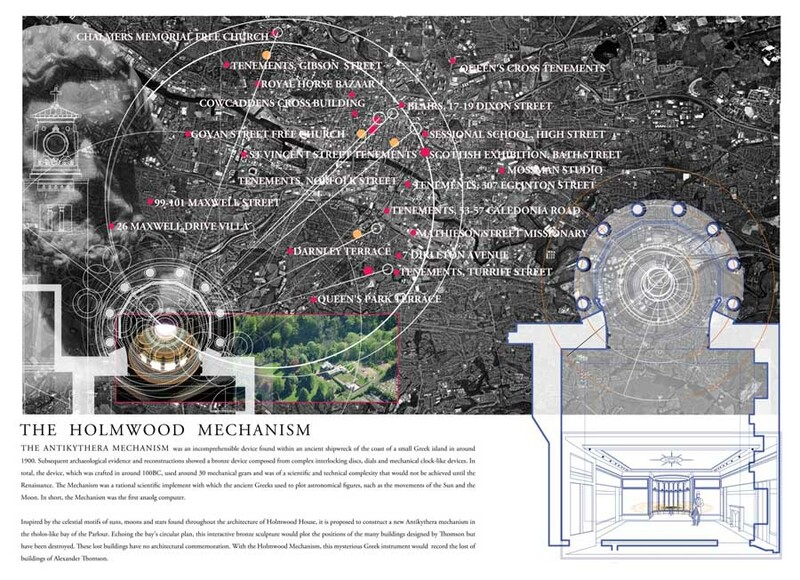 Together, GIA and NTS hope to raise sponsorship to create the installation on site, and will be mounting an exhibition of all the entries when Holmwood House re-opens to the public in Spring 2013. So high was the standard of entries that the judges selected three other projects for special mention, being those submitted by John Ng and Tommy Down (High Commendation), Martin Baillie and Colin Baillie (High Commendation) and John Kennedy (Commendation). 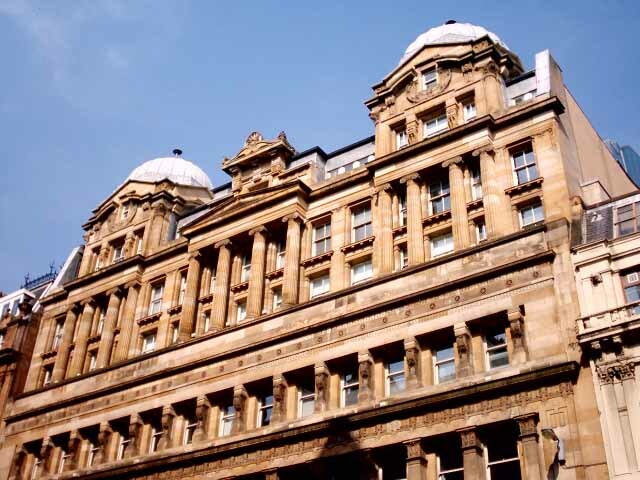 For further information, please contact the Glasgow Institute of Architects at educationgia(at)gmail.com. 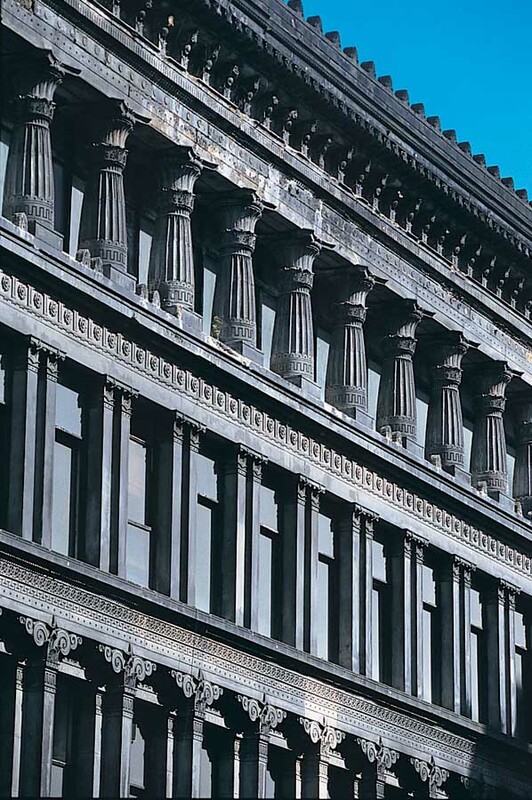 The Glasgow Institute of Architects, as Trustees for the Alexander Thomson Scholarship, is pleased to announce the re-launch of the triennial competition established following Thomson’s death in 1875. 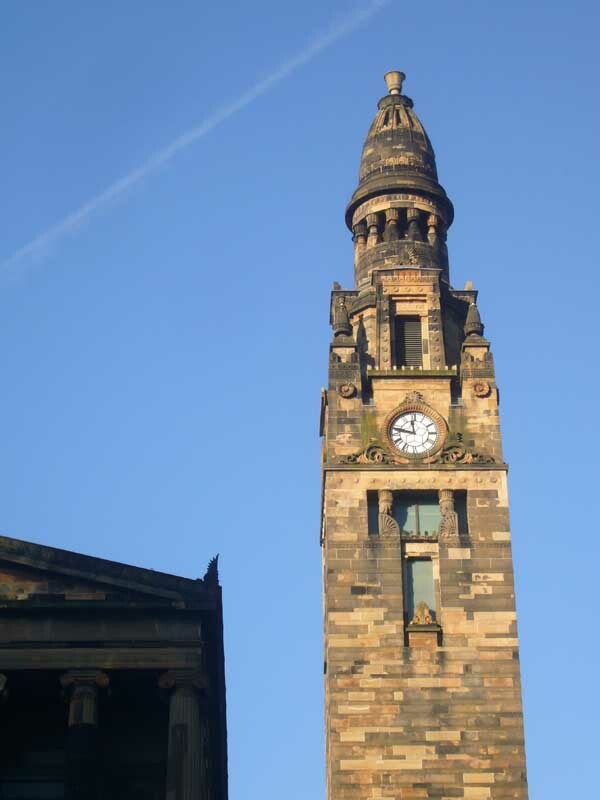 Most famously won by Charles Rennie Mackintosh in 1890, the competition is open to all students of architecture and members of the profession throughout the UK whose age does not exceed 30 years on the date of entry. 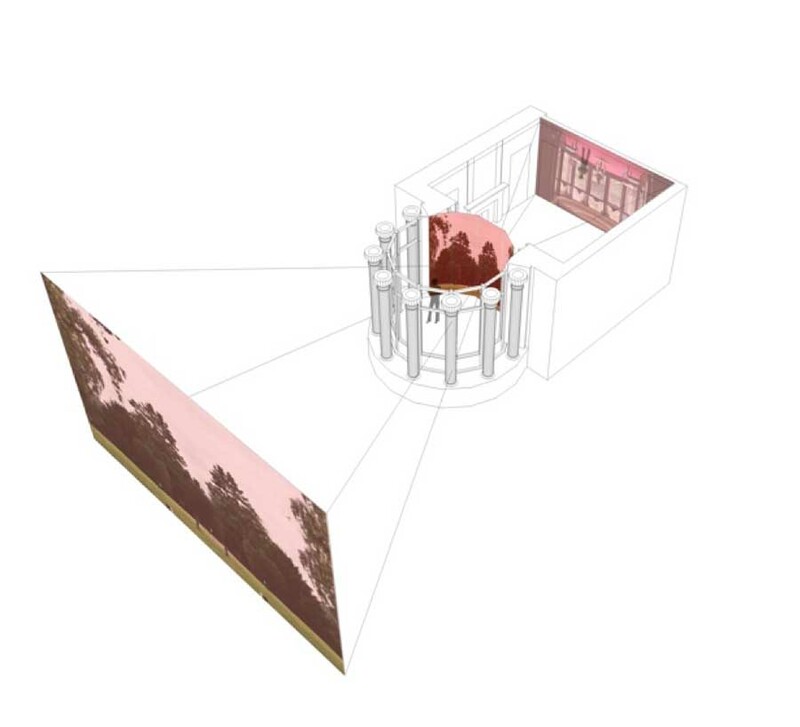 The competition is for the design of a contemporary installation which breathes new life into the parlour of Holmwood House. Built in 1858 and located in the Cathcart area of Glasgow, Holmwood House is recognised as Alexander “Greek” Thomson finest and most elaborate villa. Entrants may write their own brief and are invited to use an open palette of sound, light, texture, colour and smell. A succinct exploration of the entrant’s idea is to be submitted in digital format. 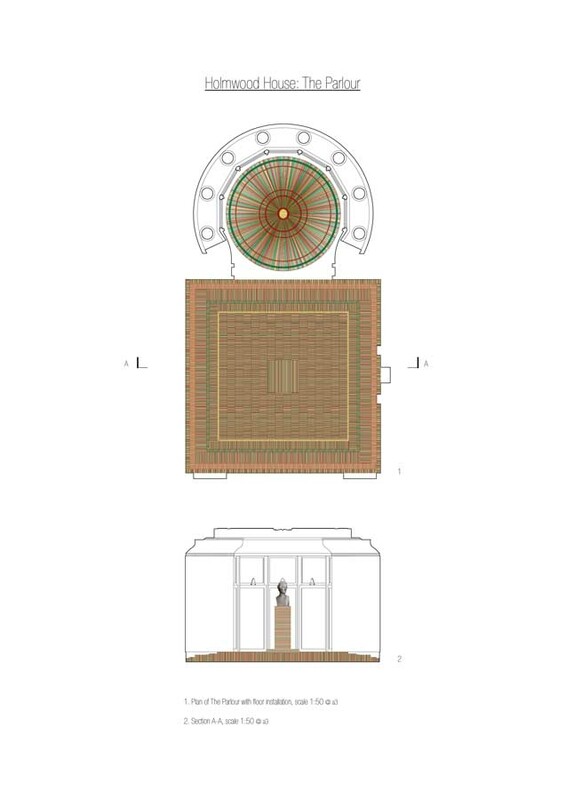 The restrictions are that the entry be capable of potential implementation on a temporary basis within the confines of the existing parlour at Holmwood House. A prize of £1200 will be awarded to winning entry, with a presentation at Holmwood House in September 2012, where it is expected that an exhibition of shortlisted entries will be made. 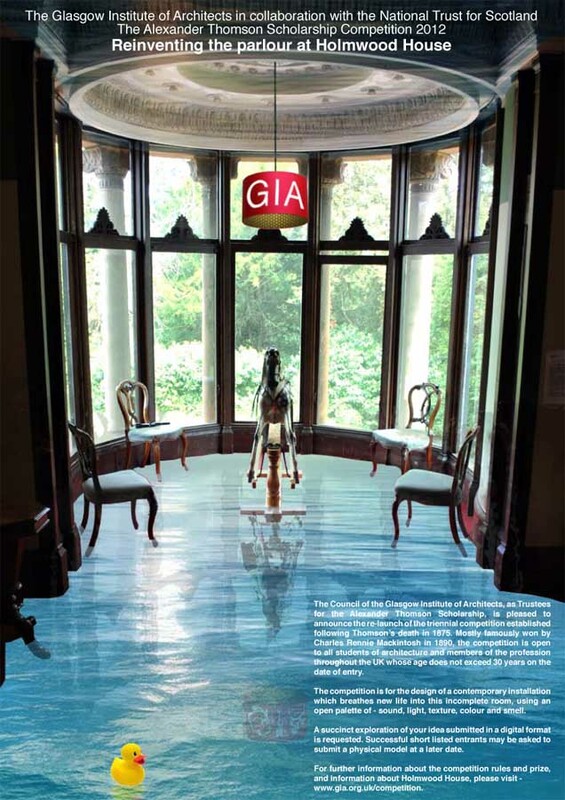 For further information about the competition rules, registration, and information about Holmwood House, please visit the Our Work/Competitions section of the GIA website at www.gia.org.uk. Proposals are to be uploaded in digital format to the competition dropbox, no later than midday on Monday 30 Jul 2012 (see instructions on the GIA website). Judging will take place during the fortnight after the closing date, and shortlisted entrants may be contacted to supply physical models thereafter.